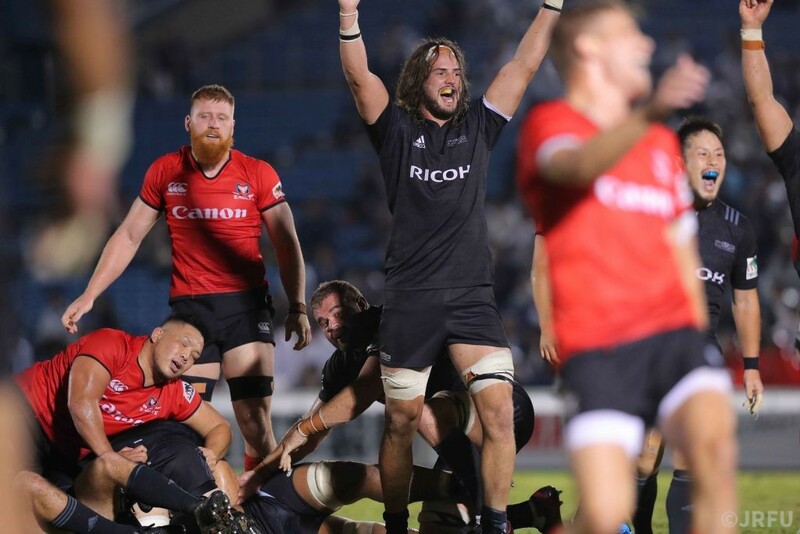 TOKYO (Sept. 21) – Ricoh Black Rams picked up their third win of the 2018-19 Japan Rugby Top League season on Friday night thanks to a 21-17 win over Canon Eagles. The victory sees Ricoh move into second place on 14 points in the White Conference, trailing leaders Yamaha Jubilo on points difference, ahead of Saturday’s seven games. Canon, meanwhile, are currently fourth on seven points wih one win, one draw and two losses to their name. Played in front of 6,632 at Prince Chichibu Memorial Rugby Ground, both sides scored two tries. Canon’s came from Fred Zeilinga and a penalty try with Yu Tamaura kicking a conversion and Zeilinga adding a penalty goal. Tim Bateman and Amanaki Lotoahea both crossed for Ricoh with Kohei Horigome kicking a conversion and a penalty goal before Bryce Hegarty sealed the win with penalties in the 68th and 79th minutes.